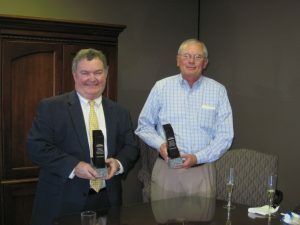 DON MARTINSON and BARRY FANNING Celebrate 40 Years with FHMBK - Fanning Harper Martinson Brandt & Kutchin, P.C. - Fanning Harper Martinson Brandt & Kutchin, P.C. FHMBK is proud to announce that DON MARTINSON and BARRY FANNING have recently celebrated their 40th anniversary in the practice of law with the firm. Don and Barry were classmates in the November 1973 graduating class of the Baylor University School of Law and immediately began their legal careers with the firm when it was then known as “Fanning and Harper”. Barry distinguished himself as an outstanding trial lawyer and has enjoyed numerous successful results for the firm and our clients. Don has distinguished himself not only in the court room but has developed a state wide reputation as an insurance coverage and appellate attorney appearing numerous times before various Courts of Appeal and the Texas Supreme Court. Congratulations to Don and Barry on this milestone in their careers. A celebration was held to recognize this milestone. Barry Fanning (L) and Don Martinson are honored for 40 years dedicated to the practice of law and FHMBK. 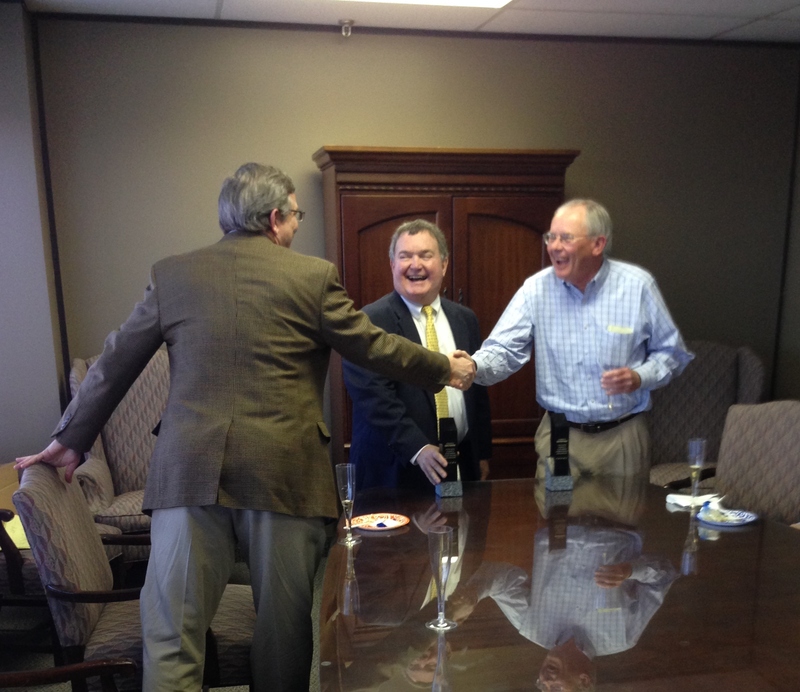 Tom Brandt greets Don Martinson (R) and Barry Fanning during the 40th anniversary celebration.